The modern AR-10 rifle dates back to the 1950’s when it was manufactured by Armalite, a division of the Fairchild Aircraft Corporation. Though the original straight-line barrel rifle was used for warfare, over the years it became a predecessor for a wide range of firearms like the M16. Today, users of the AR-10 may prefer to make adjustments to the factory manufactured version to suit their needs. This can include replacing the barrel with one of the options available in the market. The latest barrel models are usually constructed of high-grade stainless steel to withstand the enormous pressure of expanding gas and to ensure that optimum muzzle velocity is obtained by the projectile. In this article, we will be discussing a few modern options and looking at what makes a good barrel. Are AR-10 and AR-15 Barrels Interchangeable? One of the key differences between the two models is their caliber and this makes certain parts non-interchangeable despite their similar design. The AR-10 utilizes the .308/7.62x51, while the AR-15 uses the .223/5.56 x 45 cartridge. The AR-10 is also slightly larger and hence heavier. Additionally, there is more space between the pistol grip and lower receiver in the AR-10 than the AR 15. Thus, due to slight differences in configuration and chambering of calibers, the barrels of the two models are not interchangeable and neither is their thread or nut extensions. Learn more about interchangeable parts between AR-10 and AR-15 here. The optimum barrel length depends on numerous factors including the type of barrel, twist rate and weight of the bullet. A longer barrel allows for a greater muzzle velocity and bullet rotation upon exit as compared to a shorter barrel, but does not inherently quantify greater accuracy. However, it is easier to hold a longer barrel from unsupported positions and hence may lead to a more accurate shooting. The typical barrel length for a hunting rifle chambered for high-intensity cartridges like the .308 is 22-24 inches. This particular cartridge usually operates at 2500-2800 fps and so the velocity loss in a 22-inch barrel isn’t too noticeable so the balance and swing remain unaffected. Most .308 ARs find a change in velocity of about 30-40 fps per inch of barrel length, but individual barrels of the same length could have that much (or more) variations. However, users recount a shorter barrel is more rigid so may confer greater accuracy. Most AR-10 users recommend a length of 18.5 inches for optimum accuracy and ease of movement since its lighter. At the end of the day, choosing a barrel length is not a science, but depends on your comfort and purpose of use. Advantages of Upgrading Your AR-10 Barrel? Most users prefer to upgrade the factory version of the AR-10 to build a more versatile and customized weapon for themselves. Since the model is produced by various manufacturers, not all weapons created are identical, they differ slightly in configuration and quality. Some shooters prefer longer barrels as they feel it confers greater accuracy while others prefer shorter barrels for versatility and speed. Weight is also usually taken into account. You can switch up your barrel to allow for altered features including cartridge chamber, length, twist rate, profile etc. The result will be a more accurate and optimized shooting experience. Chrome linings can help increase the life of your weapon by protecting it against corrosion. You should choose your upgrade wisely depending on the application you have in mind so take every factor into account before making a purchase. In this section, we will discuss the main features and qualities of the best barrel models available in the market for the AR-10. 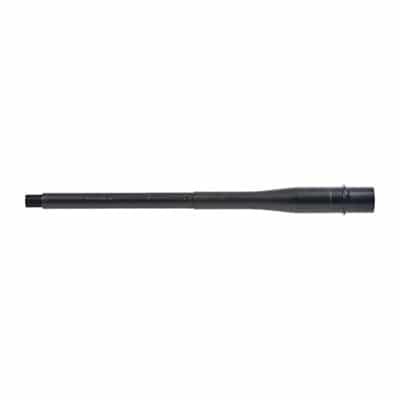 Produced by Satern Barrels, these .308 Winchester DPMS barrels feature 5R button rifling and are machined from 416 gun barrel for a superior shooting experience. Other features include a Black Nitride finish and a 1-10 twist. These barrels are available at a decent price and features, such as the nitride finish, allow for a more long-lasting and durable weapon. 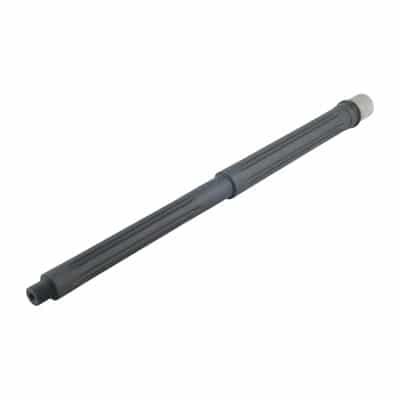 A Versatile barrel can chamber various bullets and hence be used for multiple applications. The Creedmoor AR barrels feature a flatter trajectory and greater ballistic coefficient than its .308 Winchester alternative. Also, button rifled and hand lapped result in a uniform bore. Note that Creedmoor barrels can be swapped with factory .308 barrels and gas lengths accommodate DPMS style gas tubes. 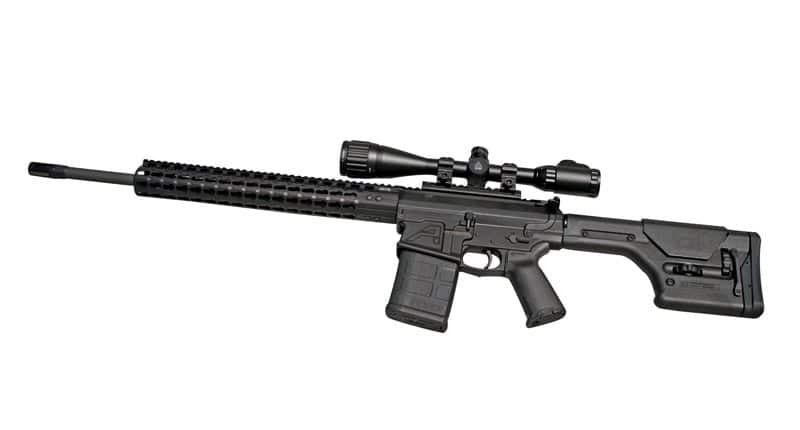 Although said to be compatible with the .308 AR rifles in the DPMS pattern, one must remember that rifle configuration varies according to the manufacturer. This is a versatile and easy to handle barrel. 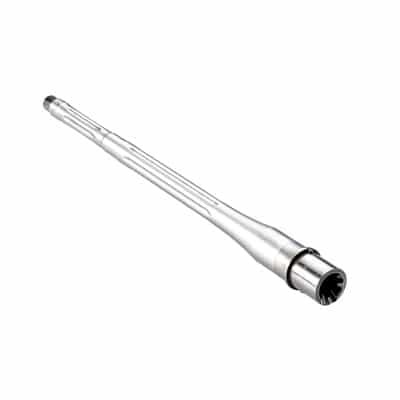 This model is machined from 416R stainless steel and has an 18 inch heavy fluted barrel. It is button rifled, has a mid-length gas system and a 1:10 twist rate. Finishing is done in matte-black teflon for corrosion resistance. All-in-all, this product comes highly recommended as it is affordable, aesthetically pleasing and accurate. However, you need to be careful when choosing a gas block as it doesn’t come included with the product and may cause issues if the fit isn’t perfect. This model is machined from stress-relieved 4150 Chrome moly steel with a nitride finish. 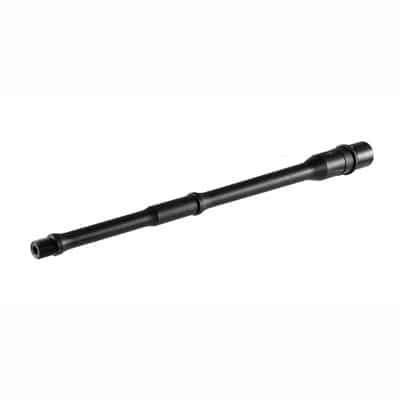 The medium taper barrel is compatible with DPMS LR 308 upper or Armalite AR-10 and has a 1-10” twist with 5R rifling. Available in 16”,18” and 20” models. Best used for hunting, self-defense or target practice, this barrel comes highly recommended by users because it looks good, is safe, easy to use and install and works with various guns. 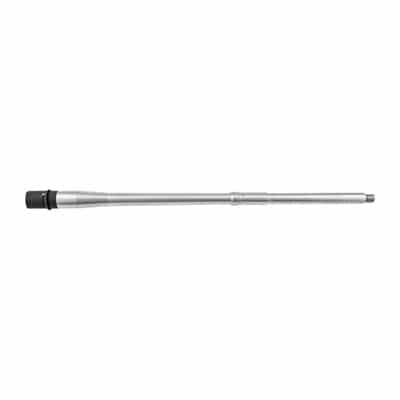 The Wilson Combat barrel is made from 416R stainless steel and has a medium length gas system. The barrel is precision button rifled with a 1-10” twist for excellent accuracy with various bullets. The barrels are compatible with DPMS style SR-25/LR-308 style rifles. One of the best models available in the market in terms of price and practicality. It has a good profile for hunting, target shooting, and other outdoor activities. The fluted barrel guarantees high accuracy. With the number of choices available in the market these days, choosing a new barrel for your AR-10 shouldn’t be that difficult of a task. We hope this article has left you with a better idea of what to look for, familiarizing you with some popular models and what factors to consider including cartridge size, barrel length, rigidity, and resistance when choosing your upgrade. We wish you a pleasant shooting experience!